2.25 lb. 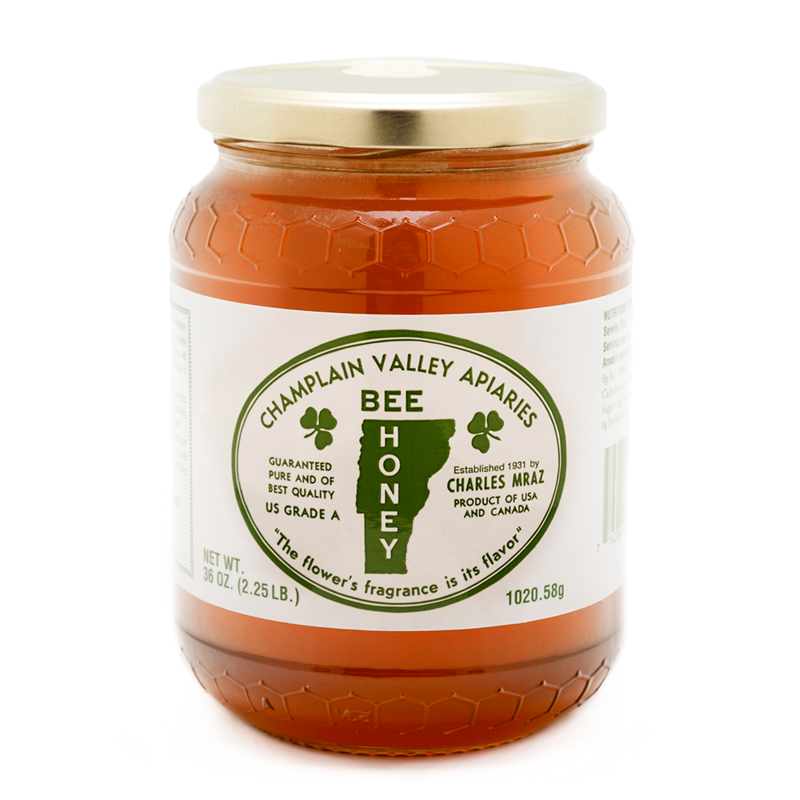 Liquid Honey - Glass Jar - Champlain Valley Apiaries - Middlebury Vermont. Our newest product includes 2.25 lbs. of liquid honey in stunning Italian glass jars. We heat and filter our liquid honey, which delays the crystallization process. We are careful not to over process our liquid honey, preserving as much of its flavor and original properties as possible. A perfect "Vermont" gift for friends or any occasion.